We encourage you to provide links to this Website. 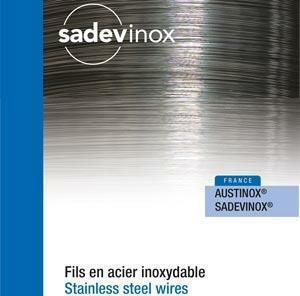 While you may use the name “https://www.stainlesssteelwire.com” in the text of any such link, you may not use the Stainless Wire (Sadev Inox) logo or any of our other trademarks without our prior written consent. You must not frame this Website, or represent or imply that any part of the Website belongs to anyone other than us. If we notify you that we object to the manner in which you provide links to this Website, you must immediately cease providing such links. Copyright notice: © 2016 Stainless Steel Wire (Sadev Inox). All rights reserved.